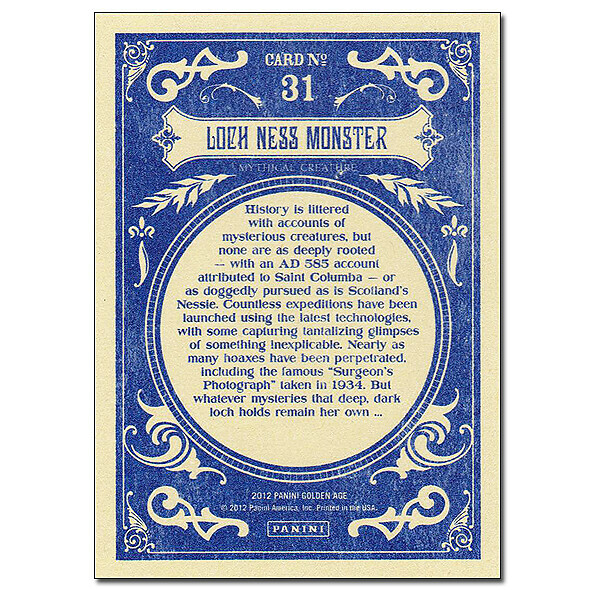 The legendary creature said to inhabit the dark, cold waters of Scotland’s Loch Ness, The Loch Ness Monster, or “Nessie” as it has become affectionately known, has been sighted in the loch hundreds of times since the 6th century. 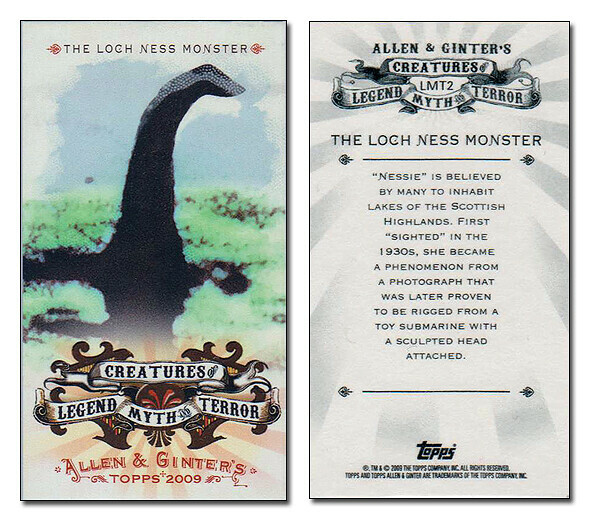 The creature established world wide recognition in 1934 when Dr. Kenneth Wilson photographed the head and neck of Nessie. “The Surgeon’s Photograph” as Wilson’s image became known soon became the most publicized picture of the creature and is the basis for the two (2) trading cards below. During the 1990’s several claims that the The Surgeon’s Photograph was a hoax surfaced. The most detailed accounts of trickery purport that the “creature” depicted in the photograph is actually a toy submarine with a sculpted neck and head attached to it. However, there are others that have studied the image extensively and still say that it is legitimate. 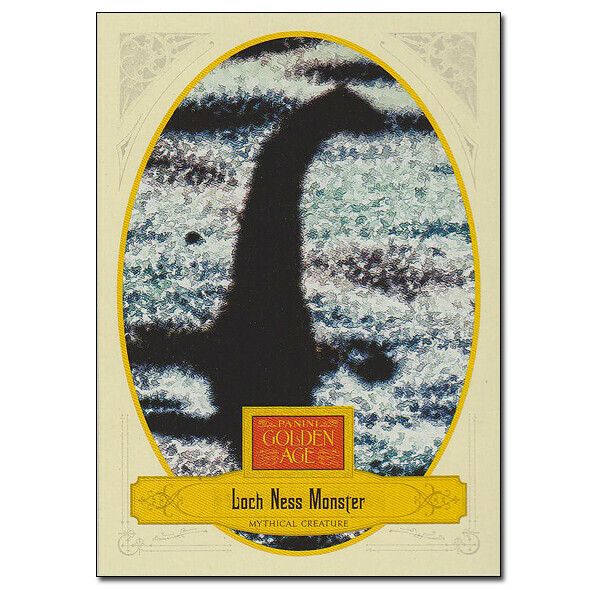 Whether or not the photograph shows the genuine Loch Ness Monster or is an 80 year old prank, it remains a tantalizing sign post that leads to the question of what resides beneath the dark waters of Loch Ness.